This book, first published in 1987, outlines the motives and methods of overseas operations by international contractors. 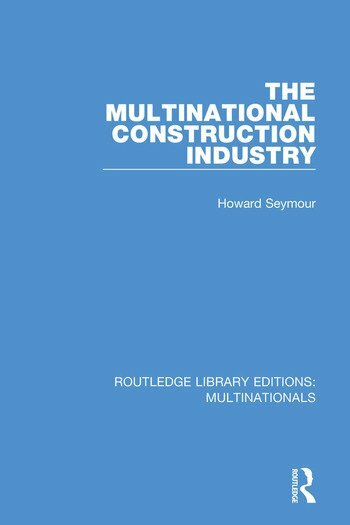 Drawing on an economic analysis of the industry and on elements of international investment and production theory the book discusses the problems of both individual enterprises and the major nationality groups in the industry. It surveys the major competitive features of the industry; contractors’ organisational hierarchies; and the markets in which the firms operate. It argues that project financing arrangements and home government support for contractors are major determinants of success. This title will be of interest to students of business studies.